Behaviorask: Straight Answers to your ABA Programming Questions, Bobby Newman, Ph.D., B.C.B.A. ; Dana R. Reinecke, Ph.D., B.C.B.A. ; & Tammy Hammond, M.A., B.C.B.A. Behaviorspeak: A Glossary of Terms in Applied Behavior Analysis (ABA), Bobby Newman, Ph.D., B.C.B.A. ; Kenneth F. Reeve, Ph.D., B.C.B.A. ; Sharon A. Reeve, Ph.D., B.C.B.A. ; & Carolyn S. Ryan, M.Phil. B.C.B.A. 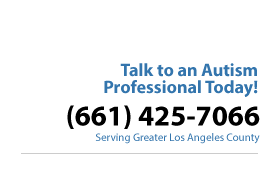 Teaching Conversations to Children with Autism: Scripts and Script Fading, Lyn E. McClannahan, Ph.D. & Patricia J. Krantz, Ph.D. Reaching Out, Joining In: Teaching Social Skills to Young Children with Autism, Mary Jane Weiss, Ph.D., B.C.B.A. & Sandra L. Harris, Ph.D.
Functional Behavior Assessment for People with Autism: Making Sense of Seemingly Senseless Behavior, Beth A. Glasberg, Ph.D., B.C.B.A. Social Skills Training: For Children and Adolescents with Asperger Syndrome and Social-Communication Problems, Jed E. Baker, Ph.D. Toilet Training for Individuals with Autism and Related Disorders: A Comprehensive Guide for Parents and Teachers, Maria Wheeler, M.Ed. Various State Laws: Legislation has been passed in the following states requiring some coverage for ABA treatment for some children with autism: Arizona, Colorado, Connecticut, Florida, Illinois, Indiana, Iowa, Kansas, Maine, Montana, Nevada, New Jersey, New Mexico, and Pennsylvania. www.autismvotes.org This is Autism Speaks’ public policy division that is spearheading national efforts to get autism treatment legislation passed in the various states and at the federal level. www.autismhealthinsurance.org (Dr. Karen Fessel and Ms. Feda Almaliti) These advocates assist with navigating the process of acquiring funding from health insurance plans to cover ABA treatments for individuals with autism.